Tony Abbott said he was a reluctant banner but says the burqa is an affront to the Australian way of life. 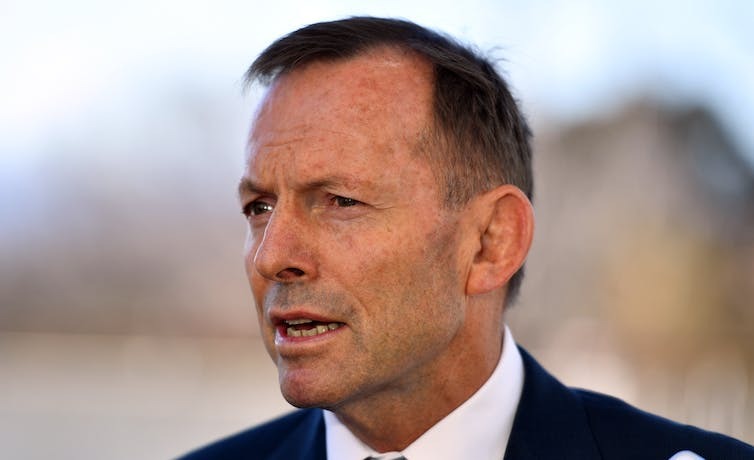 The issue of the burqa has erupted in the Coalition, with Tony Abbott suggesting a ban should be considered in places “dedicated to Australian values”, and the Nationals set to debate a prohibition on “full-facial coverings”. Abbott said he was “a reluctant banner”, but “on the other hand, this thing frankly is an affront to our way of life”, a “confronting” and “imprisoning” garment. “I think it is worth considering whether there are some places that are dedicated to Australian values such as our courts, our parliaments, our schools – maybe we do need to think about whether this garment is appropriate to be worn in places that are dedicated to upholding Australian values,” he told 2GB. Abbott was commenting on a motion for a ban that Nationals MP George Christensen will move when the party’s federal conference meets this weekend. The Christensen motion, supported by his Dawson federal divisional council, calls on the government “to implement a ban on full-facial coverings in all government buildings and public spaces, excluding places of worship, where it assists with security and public safety”. Christensen said the qualification about security was to make exceptions for face coverings that for example were part of an entertainment. The motion puts Deputy Prime Minister Barnaby Joyce on the spot. “One of the great things about our party is that any person and any branch can bring forward any motion,” Joyce said. “That doesn’t necessarily mean it becomes policy. That’s a matter for the federal conference, and I’ll be watching and listening to the debate like any other delegate.” Pressed on his own opinion he told reporters: “You can turn up the conference and find out exactly what I believe”. In the Senate on Wednesday Pauline Hanson launched a vitriolic attack on Attorney-General George Brandis over his criticism of her stunt last month when she wore a burqa into the chamber. In his emotional speech that drew a standing ovation from Labor and the Greens, Brandis said it was appalling for her to mock the religious garments of Muslims and told her “we will not be banning the burqa”. Brandis’ speech has since had a mixed reception in Coalition circles. On the day, there was limited and hesitant applause from his own ranks. In her attack on Brandis, Hanson invoked the Anzacs when she accused him of defending “the most recognised symbol of radical Islam”. “Whether or not you agree with my decision to wear a burqa in parliament is not the real issue,” she said. “The real issue is that Australians want a debate on full-face coverings and they want a debate on the issues that the burqa raises. 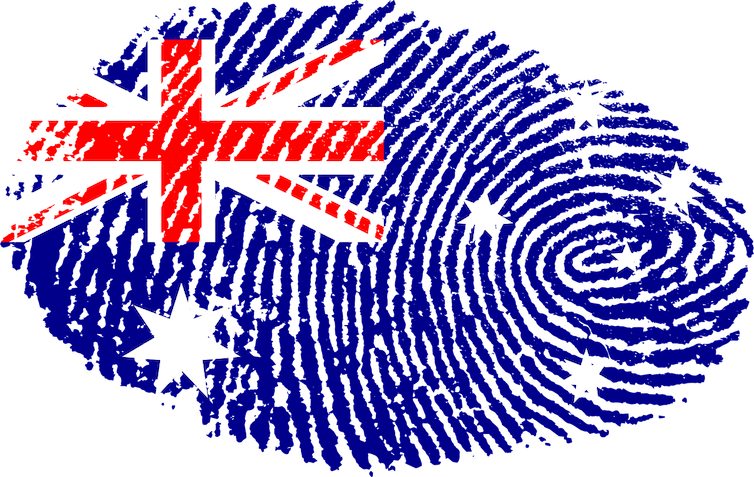 “It is, after all, a sign of radical Islam, which threatens the true Australian way of life. What would our Anzacs say? They fought for our freedom and way of life. There is room for only one flag, one language, one loyalty and one law. “Recently, the lives of precious Australians have been lost in Afghanistan, Iraq and Syria to stop radical Islam. But, senator Brandis, you forgot those lives when you defended the most recognised symbol of radical Islam, the burqa,” she said. “You have a right to a view on my decision to wear the burqa into the Senate, but it is arrogant, incorrect and ill-informed when you presume to speak for most Australians,” Hanson said. She said that all Brandis’ colleagues had “remained seated and stunned while you strutted the Senate stage with your quivering lip”. Christensen said he thought Brandis had “over-egged” his reaction to Hanson. He said there had been criticism of Brandis’s speech among Coalition MPs, and the standing ovation had been “from people with values that are antipathetic to ours”. He said the burqa was not a religious requirement but a “a cultural practice that is based in the oppression of women”. Christensen said his motion talked “not about the burqa and the niqab specifically but full-facial coverings, so this would even apply to violent people that we have seen in the past violent protesters on the far left and the far right … who put the balaclavas over their nose and mouths to disguise themselves”. A ReachTEL poll taken after Hanson’s stunt found majority support for banning the burqa. Social psychologists and sociologists have spent decades understanding how values are best assessed. There has been much talk recently about “Australian values”. The new citizenship test will require aspiring Australians to demonstrate they possess them, or can at least reproduce them under exam conditions. This raises the question of what these distinctly Australian values might be. Politicians and commentators have made a variety of suggestions. Malcolm Turnbull proposes “respect, the rule of law, commitment to freedom, democracy”. Other contenders include mateship, tolerance, belief in reward for effort, a resilient can-do attitude, egalitarianism, larrikinism and the storied “fair go”. But are there any singularly Australian values at all? One novel way to tackle this question would be to rise up from our armchairs, step down from our soapboxes, and consult the large body of research on cultural values. Social psychologists and sociologists have spent decades understanding how values are organised and how they are best assessed. In the process they have conducted numerous comparative studies of the values of different cultural groups, Australians included. The most well developed understanding of cultural values can be found in the work of social psychologist Shalom Schwartz. Schwartz and a large ensemble of international collaborators have established that cultural values are best captured by seven distinct orientations. Each culture can be positioned somewhere along each dimension, from low to high, based on the degree to which its people endorse each set of values. Embeddedness represents the extent to which people value being part of a larger collectivity, respecting cultural traditions and social order and subordinating personal desires to those of the group. In contrast, autonomy refers to more individualist values, in which the person’s independence is held in higher esteem. Schwartz distinguishes two autonomous cultural orientations. Intellectual autonomy values prize individual curiosity, creativity and openness, whereas cultures that value affective autonomy cherish the pursuit of pleasure, excitement and diverse life experiences. Embeddedness and autonomy are opposing cultural orientations. The same goes for Schwartz’s harmony and mastery orientations. Cultures that score high on Harmony place an emphasis on adjusting peacefully to the world and to nature, whereas those high on mastery value changing the world in the pursuit of individual or group goals. The third and final polarity in Schwartz’s model involves cultural orientations towards hierarchy and egalitarianism. Cultures that value hierarchy hold authority in high regard and view unequal distributions of power and resources as legitimate and necessary. Cultures with a more egalitarian orientation value equality and fair treatment for all, regardless of social position. Schwartz’s model of cultural orientations is the outcome of decades of empirical research around the globe. The seven-dimensional structure is itself derived from studies carried out in a wide variety of cultural settings. Schwartz and his colleagues have employed translated versions of a standard measure of more than 50 specific values, organised into these seven dimensions, in which they rate the extent to which each value is a guiding principle in their life. Scores on this measure can reveal where one culture’s values sit relative to others. Australia is one of a collection of nations in which large samples of people have completed Schwartz’s value measure. We can see how it measures up using a publicly accessible dataset. This dataset provides average scores on each of the seven dimensions of cultural values for 80 cultural groups, drawn from 77 nations. These scores are presented in the figure above. Each culture is represented by a blue dot, with Australia singled out in red. (For the statistically inclined, scores on each orientation have been standardised so the mean score is 0 and the standard deviation is 1). It is plain to see Australian values fall very much in the middle of the pack on every cultural dimension. If our values were uniquely tolerant we would score high on harmony, but we sit on the global mean. If we valued initiative and reward for effort to an unusual degree, we would rise above other nations on mastery, but we again lie on the statistical equator. If we valued respect and the rule of law to a distinctive extent we would score high on embeddedness, but we do not. If Australians were uniquely inclined towards fairness and equality, with an irrepressible larrikin streak, we would score high on egalitarianism and low on hierarchy. But we don’t. The only dimension on which we are at all distinctive is affective autonomy, but according to Schwartz’s data 19 cultures are more pleasure seeking and fun loving than we are. So just how unique are Australian values overall? One way to answer that question is to add up how much Australia deviates from the international average over the seven dimensions. By this metric, Australia is the second least distinctive culture of all, beaten to the gold medal by Brazil. It is hard to escape the conclusion that what is unique about Australian values is their averageness.